Klamath Falls, Oregon. I didn’t think I’d really ever go to this town. But sure enough, Noah and I decided to turn the drive from Oakland to Portland into a 2-dayer up US -97. And me, being a sucker for US Highways, was all for the idea. We stopped for the night in this southern Oregon metropolis. I was exhausted, but Noah insisted we try the best-in-town burger joint. I think I’ll name him BurgerBoy – he’s learning well. So we ended up at Dave’s Brawny Burger. From the outside it looked kinda dirty, so I was initially hesitant to go in, but I was soon dragged to the cash register, so we could order. I was pleasantly surprised at the prices. If you’re on a budget, this is the place to be. I know the picture isn’t that flattering, but the burger is not the limp mess it looks like. I suspect I was not served their finest product, but it definitely had potential. I would’ve preferred that the cheese be more melted (and again, what’s with this not melting the cheese on the burger? ), but the secret-sauce made up for it. I soon realized why our food was brought out so quick, and didn’t seem to be the best product ever. The restaurant closes at like 9 on a Friday night. That explains it. 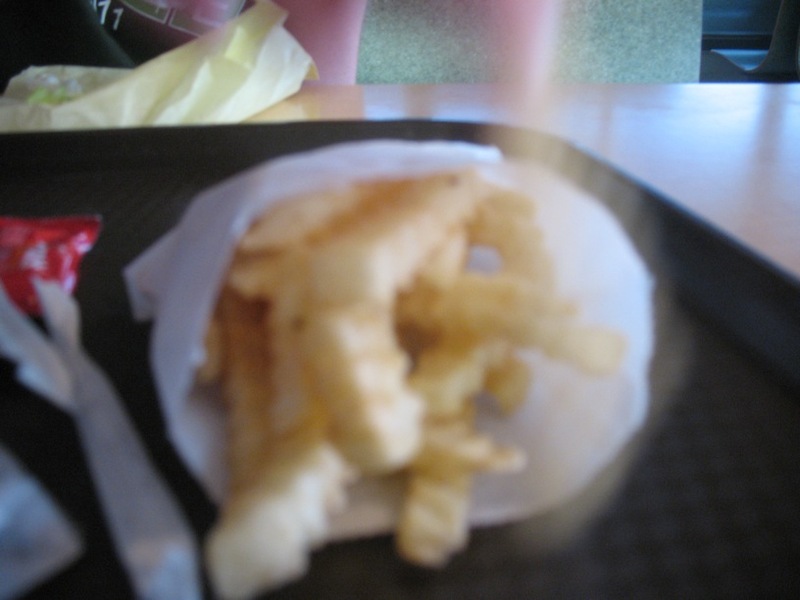 However, for better or for worse the fries were the highlight of the meal – the crinkly-cut style is some of my favorite, for reasons I have not yet figured out. Teach me, somebody? In Japan, McDonald’s is not thought of as a meal, but rather as a light snack. After eating this meal, I understood what that meant. I wasn’t really full, but I really liked what I ate. Anyway, I think if I ever go back here again (I will if I’m ever in Klamath Falls again! ), I’d probably go for the double cheeseburger, get my own order of fries, and show up at an hour that isn’t closing time. 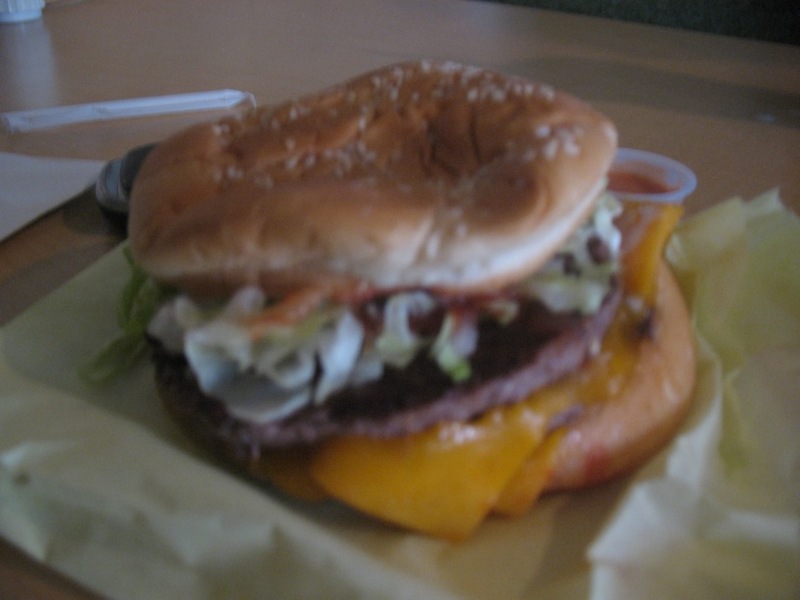 It’s not that the burger was bad, it just sort of felt like they were trying to serve it up as quickly as possible. As for the place itself, the restaurant was pretty dark, and half of the seats were roped off. I guess it had to do with the time we came in, but it didn’t feel like a very warm inviting atmosphere; rather, it was gloomy and dirty. But ultimately, the price was right, and for me, that carries some weight (if the food is good).